The first section offers a choice of views: a basic view and a danger rose view. You can easily switch between these views by clicking on the "switch view" button above and right of the bottom line. 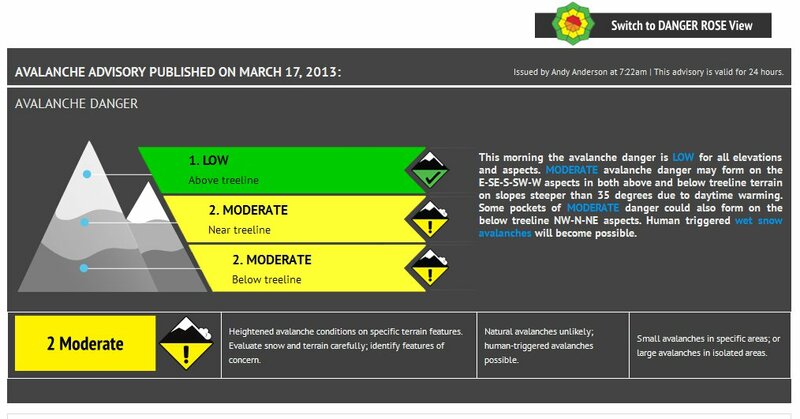 This graphic provides a general overview of the avalanche danger with a short paragraph on the "Bottom Line" information. This section many tell you whether you can safely walk you dog on a mountain trail or snowmobile on a mountain road. 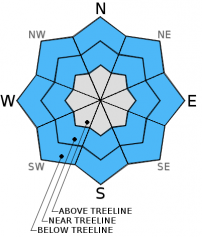 The rest of the advisory gives more specific avalanche information you will need for more specific trip planning decisions. For a tutorial on danger ratings click HERE.